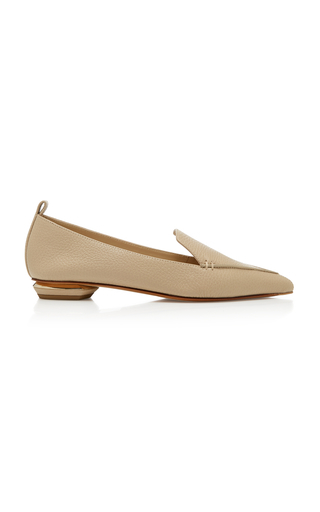 Nicholas Kirkwood's 'Beya' flats are one of those styles you'll reach for time and again - they're smart enough for the office but can be worn with denim skirts on casual days, too. Made in Italy from supple textured-leather, this pointed pair is grounded by a sculptural heel trimmed with polished gold hardware. The beige hue will temper bright colors and work with neutrals too.